At Element One, our clients range from smart Real Estate Agents who want the best marketing for their clients, home owners who want that competitive edge and investors who want to showcase their beautiful work. Merchandising a home so that it sells quickly and for top dollar is our number one priority! Making it an easy process that makes our clients happy is how we do it. Click the see all reviews link below to see what our clients have to say about Element One Home Staging and our process. And if you’re a client, click below on the review me linkto let us know how we did. Lori was amazing with her attention to details and professionalism! Highly recommend. 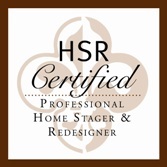 My home sold within 24 hours of her staging.